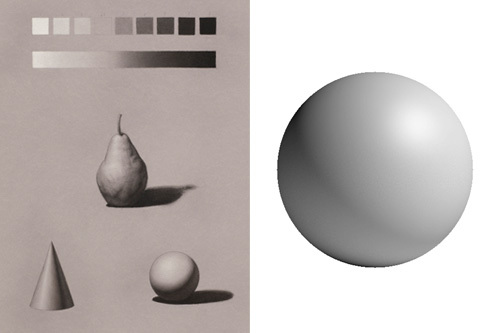 For absolute beginners, this workshop will introduce students to the fundamental concepts of how light behaves in relation to three dimensional forms, and how we can best represent that in art. This is the foundation stone of all Classical Art. This is the reserve knowledge that an artist will need to complement drawing from observation. 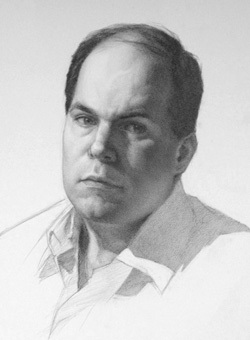 Constructive drawing teaches how to understand the form in space, using basic tenets of perspective in order to see and depict planes and structure in the human form. It is also the basis of drawing from the imagination and an essential for animators. 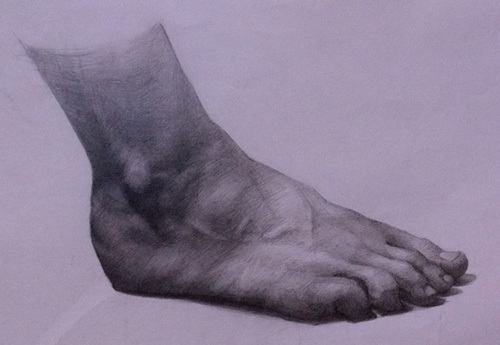 Hands and feet are arguably the most difficult elements of the human anatomy, as so much detail and information is contained in such small volumes. This course covers the construction of each of these, and how we are to represent them with a conceptual knowledge of the structure of each. 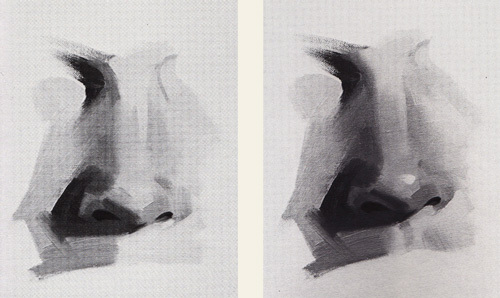 Copying from the Masters is a key component of Academic Art training. 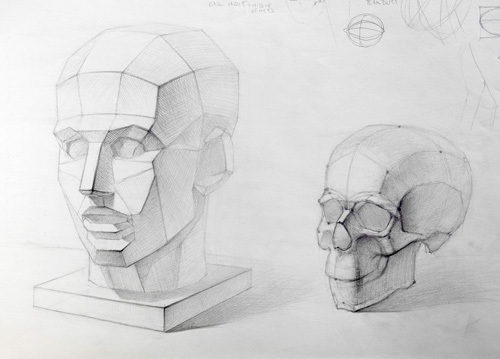 It is a shortcut for the student to understand how to render the form, and how to handle the formal elements of shape, value, and edges by copying what a master has done. In effect, it is modeling a successful piece of art in lieu of reinventing the wheel. 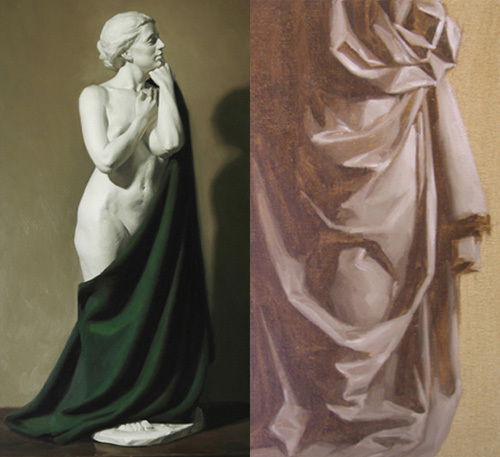 This workshop will demystify the complexity of drapery, which is all-essential to drawing and painting the clothed figure. 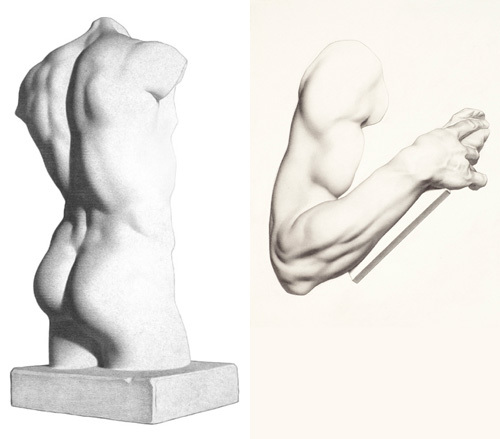 We will examine seven categories of folds, where they occur, and how they can be used to augment dynamism and gesture in a figure, portrait or still life work. We will work on different viewpoints and angles of the eyes, orbital cavities, the nose, nasal structure, the mouth, and the muzzle on which it sits, and the ear. Each feature will be broken down into its component micro form, and this will help the student in presenting it in its most structural and artistic light. Lastly we will pull all of these together into one cohesive portrait. Using the limited palette, or the full colour palette, depending on each individual’s level, students will paint in oils and do quick block-in’s and colour studies for full length figures, and for portraits. The essence of the workshop is to explore and practice different types of skin tones in different lighting conditions. 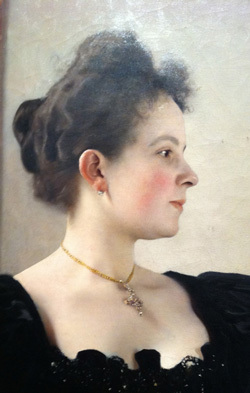 The reality of today’s world is that sitters lead busy lives, and may be unable to spend the required time for the artist to complete the entire portrait with live sittings. Photos are then used by the artist as references, to paint or draw the bulk of the work between the first compositional sitting and the final stages. However we need to understand exactly what is overstated and what is omitted in photography.